Dalia Elmokadem, a senior at the Michael Berry Career Center, was one of four Senior Artists selected to exhibit a collection of their artwork in the Padzieski Gallery during last year’s Dearborn Public Schools City Wide Art Show. Other exhibiting seniors: Tyler Bankey, Edsel Ford; Juliana Sanroman, Fordson HS; and Nadia Aboumourad, Dearborn High. To see more photos from the 2016 Youth Arts Festival, visit the photo album on the Dearborn Community Fund Facebook page at http://tinyurl.com/zjnjykp. The 2018 Youth Arts Festival, a showcase highlighting the creative talents of over 400 students from Dearborn Public Schools (DPS) and Henry Ford College, takes place on Wednesday, April 19 from 4 to 8:00 p.m. at the Ford Community & Performing Arts Center. The Festival, a colorful and high energy event, features visual, instrumental, choral and theatrical offerings and the opening of the DPS City Wide Art Show, which runs through mid-May. Admission is free and open to the public to enjoy and show support for the students. 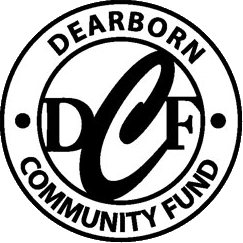 The Youth Arts Festival is a project of the nonprofit Dearborn Community Fund (DCF). Festival activities begin at 4 p.m. with the opening of Dearborn Public Schools City Wide Art Show at the Center’s Padzieski Gallery. The exhibit, which remains in the Gallery through mid-May, includes selected works from K-12 students. Opening art awards occur at 4:10 p.m. in the Michael A. Guido Theater followed by Senior Talks in the Gallery at 5:30 p.m. Between the art awards and the 7 p.m. collage concert, patrons can view the student art in the lobby and Gallery, participate in a variety of interactive art demonstrations, and enjoy music performed by a students. Representatives from the Dearborn Symphony and Friends of the Dearborn Symphony will host an information table. A Collage Performance begins at 7 p.m. in the Michael A. Guido Theater. Choral and instrumental performances include groups from the Dearborn Public Schools and Henry Ford College. The Youth Arts Festival is a co-operative project by the DCF, Dearborn Public Schools and Henry Ford Community College with valuable support provided by the City of Dearborn/Parks & Recreation Department, Dearborn Community Arts Council and additional sponsors. For more information about the Youth Arts Festival, other DCF projects or how to contribute to the Fund, call 313-943-5478.